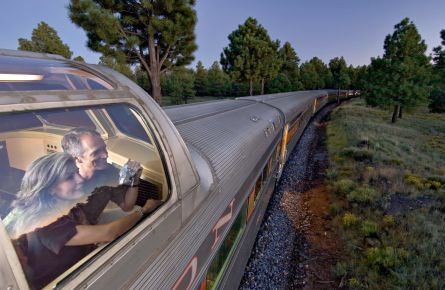 No matter which class of service you choose, you’ll always enjoy a priceless experience with Grand Canyon Railway. 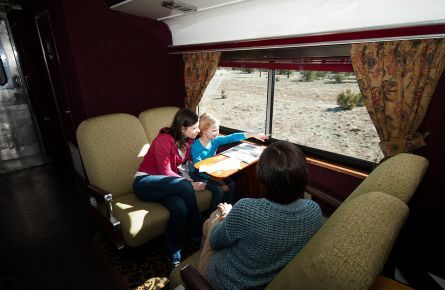 Watch a remarkable world go by as you tour the countryside from the comforts of your classic train car. See the terrain change from high desert to prairie, prairie to pine. It’s a view that’s ever-changing until you come across a view so brilliant, it could very well change you. Welcome to the Grand Canyon. These aren't just train cars. They're classics - restored with love - and ready to be proudly shared with you. 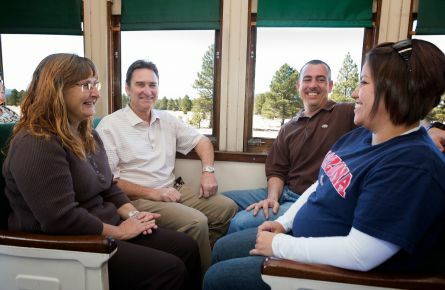 Experience train travel circa 1923 in our classic rail cars that have bench-style seats and windows that open to let in the fresh mountain air. 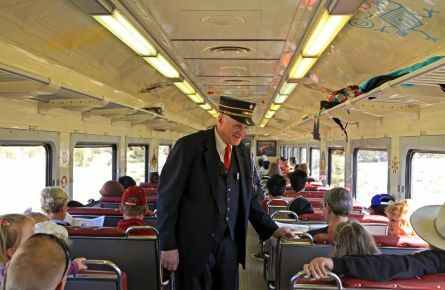 Travel to the canyon in streamlined cars made in the 1950s with big windows and air conditioning in warmer months. ADA accessible. Spread out with over-sized seats, big windows, bar service, and complimentary snacks in the morning and afternoon. ADA accessible. 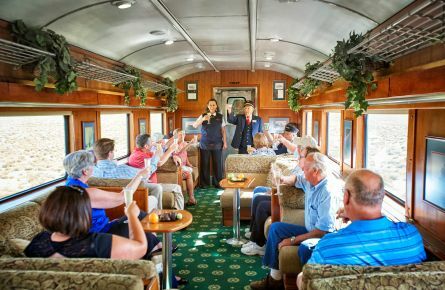 Ride high above in a streamliner-era dome. Bar service is available, with complimentary snacks provided in the morning and afternoon. This is the grandest car in our fleet - a full-length dome up top and a spacious lounge down below with private bar service, exclusive cocktails, and morning and afternoon snacks provided. 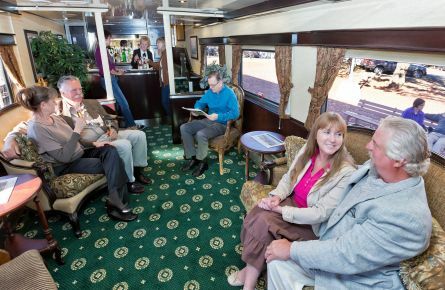 Travel like a rail baron in our plush parlor car. Step out on the rear platform and see the landscape from a different and unique perspective. Enjoy a private bar featuring exclusive cocktails, and morning and afternoon snacks provided.